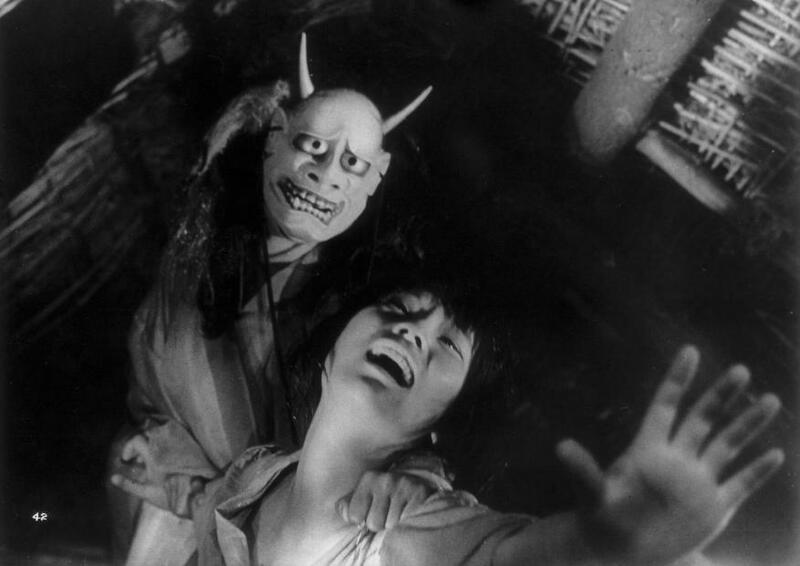 Kaneto Shindô, one of Japan’s most prolific directors, received his biggest international success with the release of Onibaba [The Demoness] in 1964. Its depiction of violence and graphic sexuality was unprecedented at the time of release. Shindô managed — through his own production company Kindai Eiga Kyôkai — to bypass the strict, self-regulated Japanese film industry and pave the way for such films as Yasuzo Masumura’s Môjû [Blind Beast] and Nagisa Ôshima’s Ai no corrida / In the Realm of the Senses. Onibaba [or Onibabaa, in its alternate spelling] is set during a brutal period in history, a Japan ravaged by civil war between rivalling shogunates. 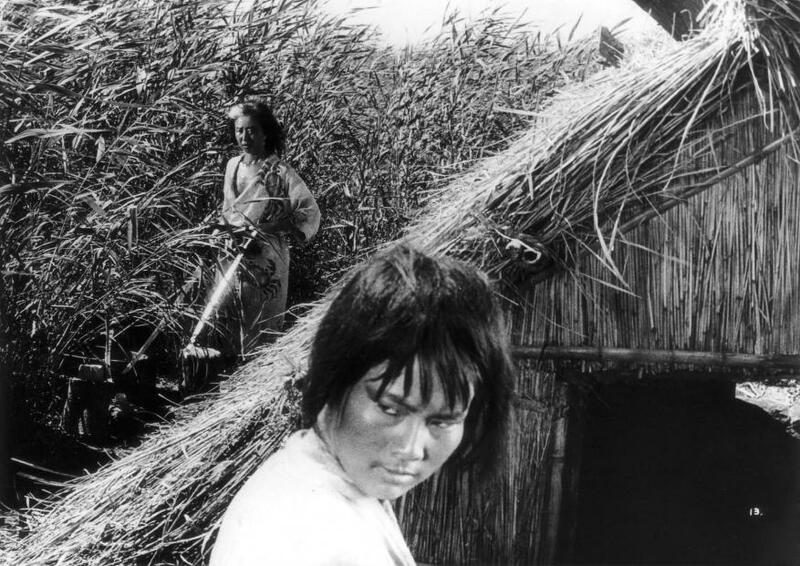 Weary from combat, samurai are drawn towards the seven-foot high susuki grass fields to hide and rest themselves, whereupon they are ambushed and murdered by a ruthless mother (Nobuko Otowa) and daughter-in-law (Jitsuko Yoshimura) team. 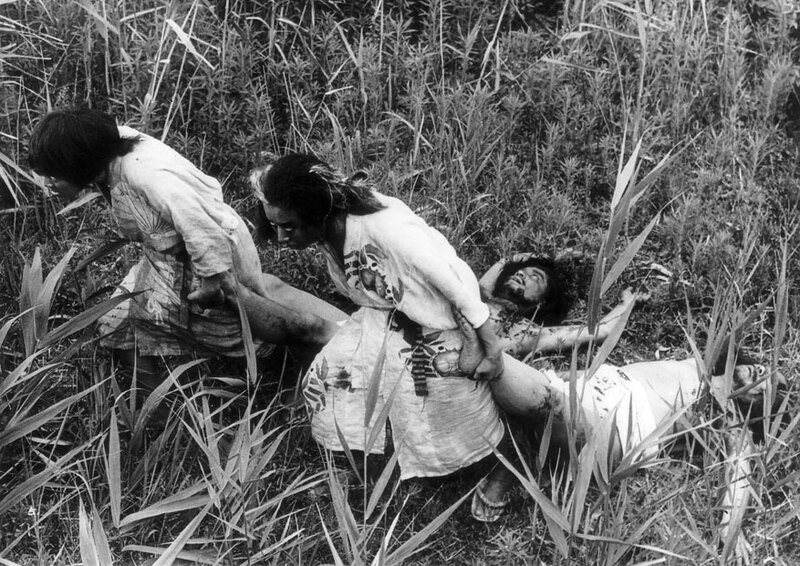 The women throw the samurai bodies into a pit, and barter their armour and weapons for food. When Hachi (Kei Satô), a neighbour returning from the wars, brings bad news, he threatens the women’s partnership. 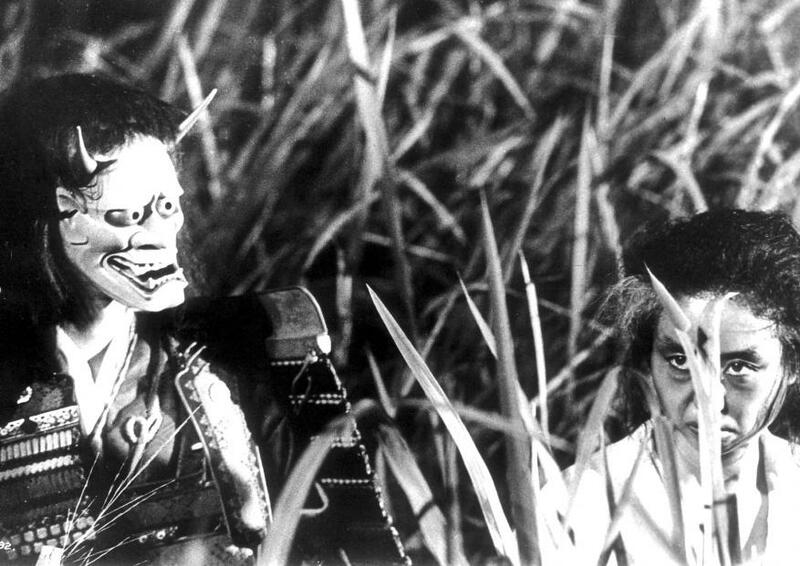 Erotically charged and steeped in the symbolism and superstition of its Buddhist and Shintô roots, Kaneto Shindô’s Onibaba is in part a modern parable on consumerism, a study of the destructiveness of sexual desire and — filmed within a claustrophobic sea of grass — one of the most striking and unique films of Japan’s last half-century. The Masters of Cinema Series is proud to present Onibaba for the first time on Blu-ray in the UK.